This guide provides currents ways for iPhone unlockers, or if you wish to unlock your iPhone for use on another network, to unlock the iPhone on any iOS version. If you know about iPhone unlocking, you know that the most used method of unlocking the iPhone is by jailbreaking the iPhone first, and then installing Ultrasnow. But for Ultrasnow we have to wait a lot, and there hasn’t been no unlock with UltraSnow since iOS 4.0.2, and there is not and probably won’t be any unlock for iOS 4.1+. This leave us with these only choices to unlock our iPhone. Here are the method and how they work to unlock any iPhone models and any iOS versions. Okay, the first and best method to unlock your iPhone is through factory unlock services. There are several websites that are legitamely offering IMEI unlocking service, but there are a lot promising unlock and are just scams. This method of unlocking works by entering your iPhone IEMEI and sending it to Apple so Apple put it as an unlocked iPhone in their database. Your iphone will become as a factory unlock iPhone and you will never have problems, won’t need jailbreak and nothing to use it on another carrier, permanent unlocked. The most legit web site offering this services is Negri Electronic. CutYourSim is offering iPhone remote unlocking as well. 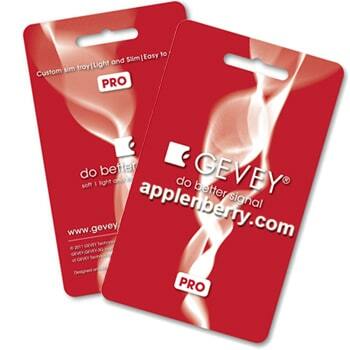 The second method is using Gevey SIM. The way this method works is by calling emergency and hanging out very fast. This works on all iOS version as well and no Jailbreaking is required Even though this a a cheaper way, I would recommend the IMEI unlocking.